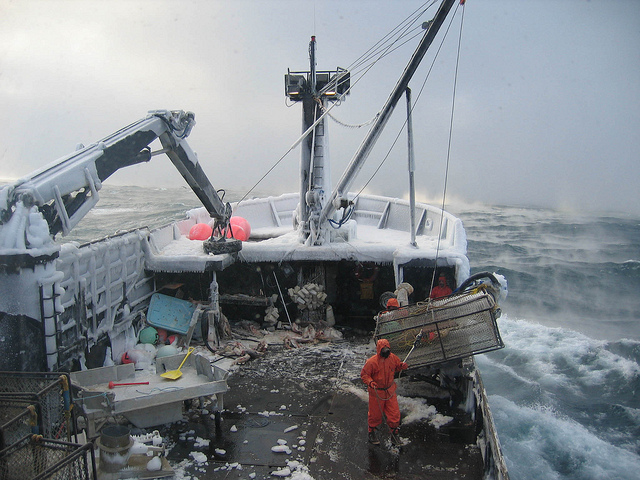 Watchstanders received a call on Monday, August 6th from the 116-foot F/V PATRICIA LEE reporting that a crewmember had been struck in the head by a crab pot. The Coast Guard duty flight surgeon recommended a medevac. 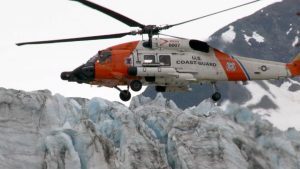 However, due to the distant location of the vessel, two Air Station Kodiak MH-60 aircrews, a Coast Guard corpsman and an HC-130 Hercules aircrew were required for the rescue. 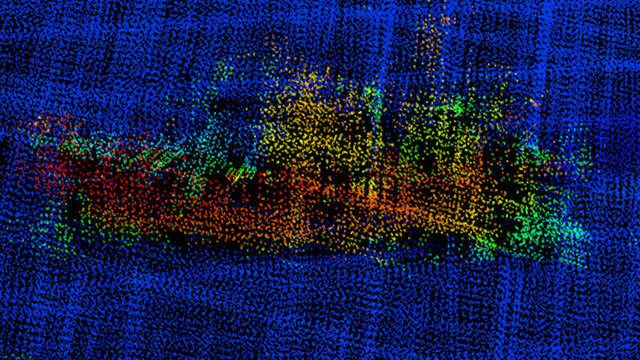 The vessel was located approximately 190 miles west of Dutch Harbor at the time of the injury. The first Jayhawk aircrew traveled from Kodiak to Cold Bay; the second aircrew flew from Cold Bay to the injured crewmember aboard the F/V PATRICIA LEE. The Hercules aircrew provided transportation for the second Jayhawk aircrew and facilitated communications during the medevac. After orchestrating a heroic rescue (which included flying over 1,200 miles over a period of 17 hours) the 27-year-old man was transferred to awaiting medical personnel in Dutch Harbor. He was reported to be in stable condition. Commercial Dungeness crab fishermen on the Washington and Oregon Coast earned $3.10/pound at the beginning of the season in December 2014. By Christmas they received $4.50/pound, and by the middle of February 2015, prices jumped to $9/pound. Why the nearly three times price increase? One reason is this year’s harvest is down but demand is still high. According to Hugh Link, executive director for the Oregon Dungeness Crab Commission, last year Oregon fishermen caught 14 million pounds by the middle of February; this year they caught 7 million pounds. The Chinook Observer reported that this year Washington caught 6.2 million pounds by February 5. The quality of crabs has been the best in years, but there aren’t that many of them. Crab is served more often at holiday parties and dinners during Christmas and New Year’s, so demand is higher. China’s New Year was February 19 and their crab demand was very high. Demand coupled with crab scarcity equals high payment to crab fishermen. A crab fisherman reportedly injured his abdomen while pulling in crab pots on the F/V IRENE H on January 13, 2015. Crew from the fishing vessel called the Coast Guard to report the injury and ask for medical assistance. 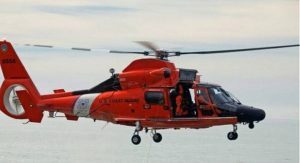 The Kodiak Coast Guard Air Station then flew a Jayhawk helicopter crew to Shelikof Strait and the IRENE H.
Weather conditions were rough: reportedly 25 mph winds and 7-foot seas. 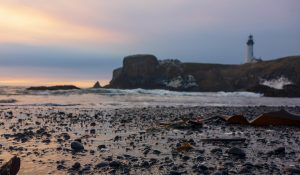 Operation “Safe Crab” has been set in motion on the Washington and Oregon coasts in an attempt to limit further deaths in the commercial crab fishery. In November, the Coast Guard will be conducting dock-side examinations throughout the Northwest ports for the safety of the crab fleet. These inspections will be limited mostly to inspection of life rafts, epirbs, and survival suits. 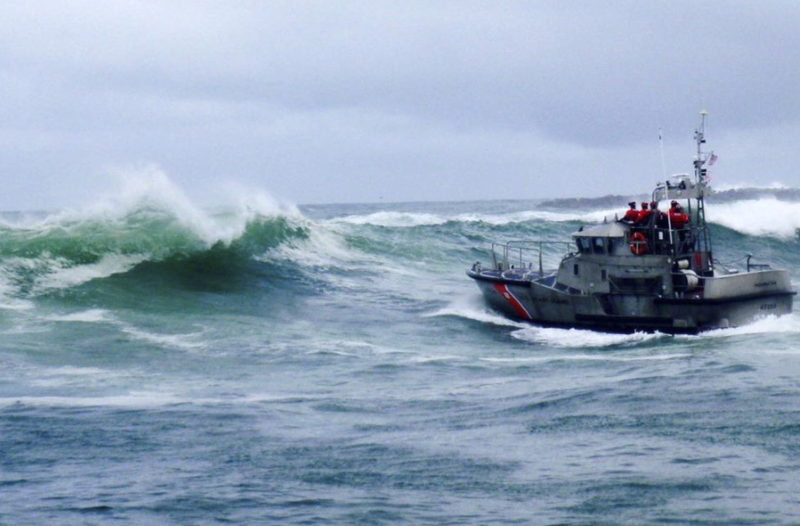 The Washington and Oregon commercial crab fishery has a high incidence of deadly accidents. This may be the result of smaller boats operating in what can sometimes be severe weather conditions. However, the Coast Guard notes that most all casualties are preventable if good safety practices are followed. Remarkably, passage of safety regulations for commercial fishing vessels has been opposed by many fishermen due to the high cost of implementation.